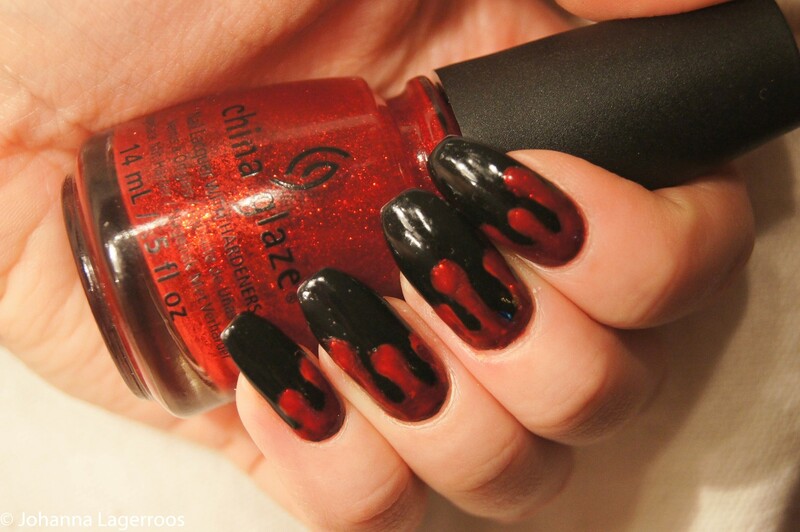 As I'm not having any Halloween festivities - especially today since it's the middle of the work week - I figured I would celebrate by posting a themed nail art post instead. 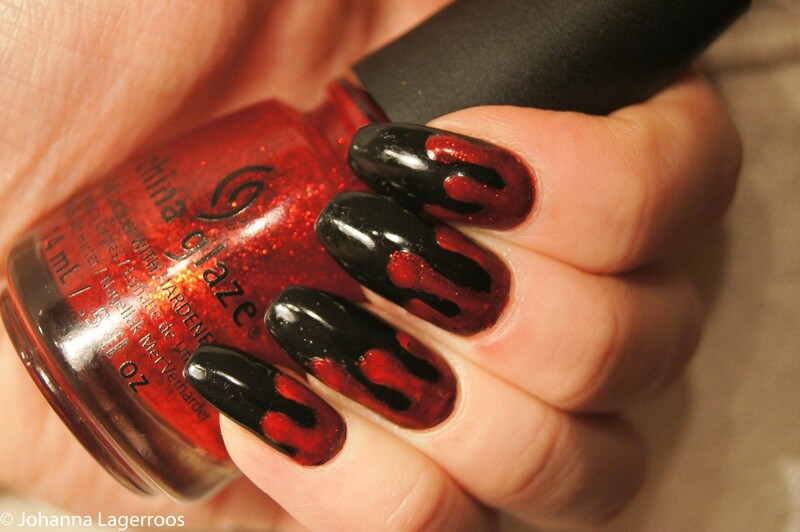 This is the last Halloween themed nail design this year, and like all the previous ones, it is quite simple. I'm still not the best at painting dripping anything but it is fun to try it out every now and then. 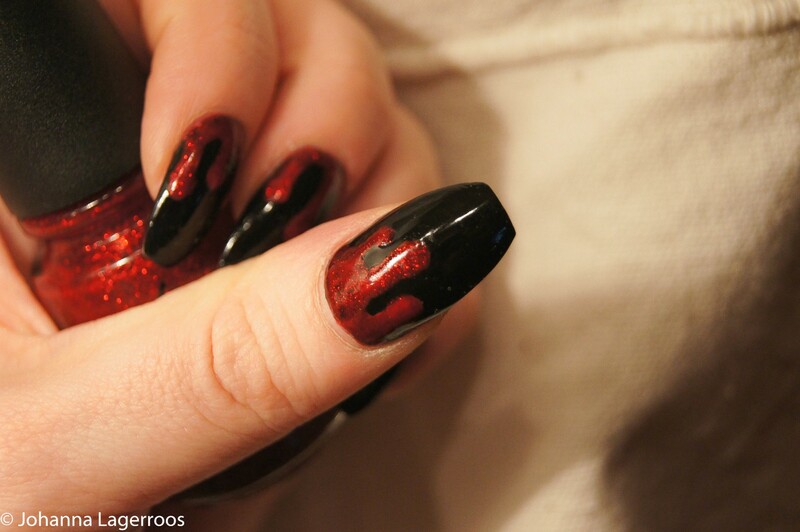 I really liked the idea of dripping blood nails, but wanted to make them cuter so I added glitter. Like you would expect me to. 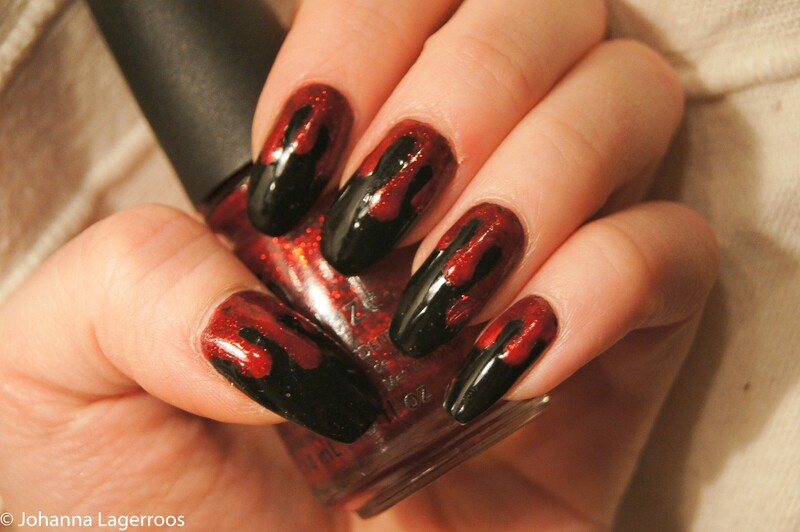 The drips are easiest to paint with the help of dotting tool and thin brush. And if you feel like I mention those two tools in every other post - well I do. Because those are the two tools you need the most and also can do most designs with. 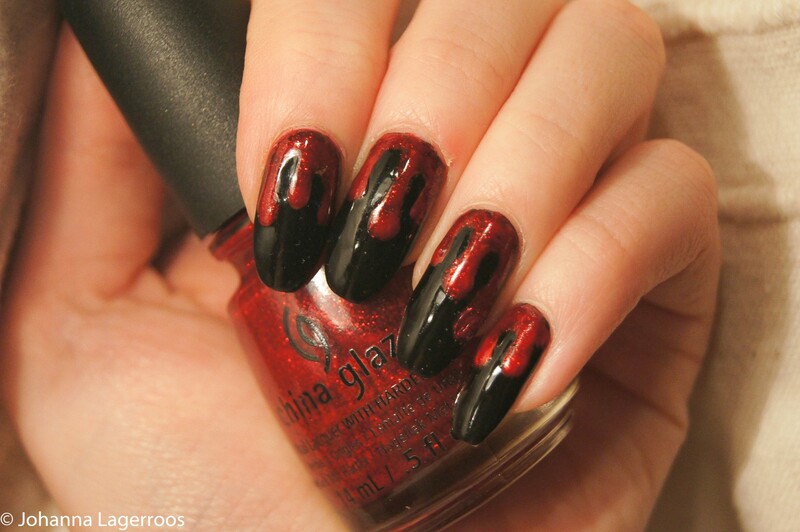 The polishes I used for this design were once again all by China Glaze: the black is called Liquid Leather, the red under the glitter polish is Flame-boyant and the red glitter polish is Ruby Pumps. I hope you've all liked this year's Halloween posts. There weren't as many as I would've loved to, nor were they as good as I would've loved, but I'm still happy I could pull through a blog Halloween because it really was the best way to get back to writing. Next month I will be testing out RevitaLash, doing makeup reviews, couple of hauls and that sort of lifestyle stuff in general. So stay tuned for more posts within few days!